1. Save $25 on the door price, if you get your tickets before Jan 31st. 2. Book your hotel room before January 12th to get the discounted hotel block room rate. 3. 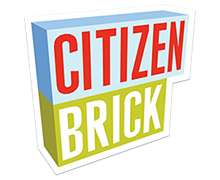 MOC Registrations will begin Jan 15th, so get your Weekend Passes today. 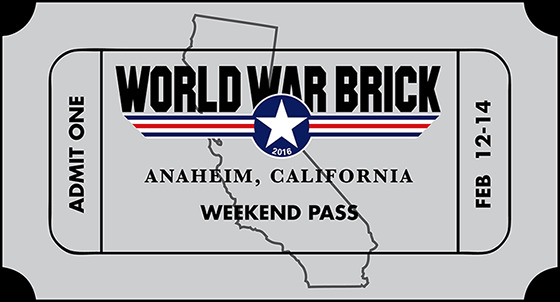 World War Brick Anaheim, CA is taking place February 12-14, 2016, at Embassy Suites Anaheim South, 11767 Harbor Boulevard, Garden Grove, California, 92840, USA. Activities for Weekend Pass holders begins 9am on Friday morning and continues until 5pm Sunday evening. 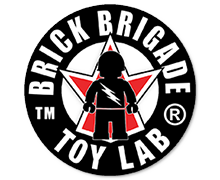 Click the ticket above to order. You can also order advance Public Tickets HERE. January 12th is your deadline date to get the discounted hotel block room rate.